We're EGGcited to get your A/C crackin' again! Give us a call and tell us you want the tune-up special! This is a complete tune-up for your A/C or Furnace. A lot of people know about Anaheim thanks to the world-famous Disneyland Resort. The city is also home to thriving Downtown Anaheim, with great shopping and dining opportunities including the Anaheim Packing House, one of the last remaining citrus packing warehouses that has been historically preserved and retrofitted into a popular food utopia. In this quintessential California city, the fun never ends, and sometimes, neither does the heat! Our air conditioners work really hard to keep our homes and businesses comfortable. Without expert care from top HVAC contractors, you can be left hot and uncomfortable. At R&R Heating and Cooling, we are proud to serve this bustling part of Orange County. Because we understand HVAC systems inside and out, we have no trouble quickly identifying whatever needs to be fixed and delivering results you can depend on. We are here to give you peace of mind, equip your system to save you money, and ensure you stay comfortable all year long. We invite you to check out our air conditioning services and contact us in Anaheim to learn more! When the sun is blazing any month of the year here in Southern California, there isn’t anything more stressful than an air conditioner that isn’t doing its job. At R&R Heating and Cooling, we understand that you cannot afford your daily life to be disrupted by air conditioning troubles. That is why we work hard every day to be on-the-spot for people whose air conditioners need help. Don’t cross your fingers and hope your unit makes it; give us a call and learn how affordable air conditioner repair actually is! Here’s a great way to avoid the stress of a broken air conditioner: never give it the chance to break down in the first place! 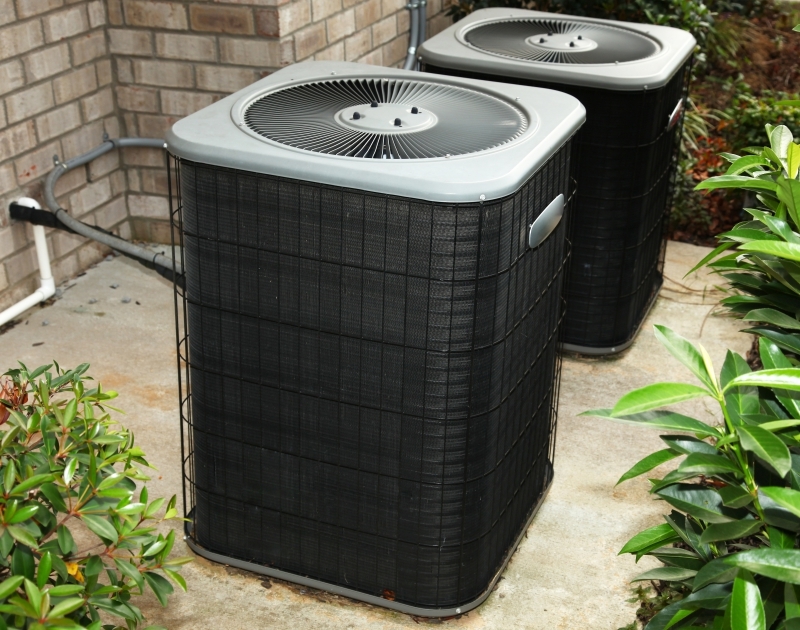 Anaheim air conditioners work hard, and just like any appliance, they need regular TLC to keep going strong. We’re not talking about expensive services here; we’re talking about an affordable ounce of prevention that will eliminate your need for an expensive pound of cure. When you choose our air conditioning maintenance services, we’ll check in on your system regularly in order to spot potential issues and repair them before they can get serious. Air conditioners are pretty tough, and if you have a sturdy unit that keeps soldiering on for you, it’s easy to feel like you’re good to go for a while longer. The thing is, an air conditioner in that shape isn’t using power efficiently. In fact, it’s probably driving your energy bills way up and delivering results that are sub-par (though you may be used to them). The R&R Heating And Cooling team is here to help you figure out which energy-efficient air conditioner will suit your needs. Once we’ve found a great fit, we’ll install the unit and set you up for budget-friendly comfort all year long. For your AC replacement and installation needs here in Anaheim, turn to HVAC contractors you can trust! We’re more than just A/C installers and maintainers. We’re actually passionate about our industry and work hard to stay on top of its latest HVAC developments. This makes us a fantastic resource if you’re researching different systems and wondering what will work best for you. Contact us for a consultation in Anaheim today. We are HVAC contractors who care, and we’ll make sure you and your loved ones stay comfortable through our air conditioner repair and maintenance services!